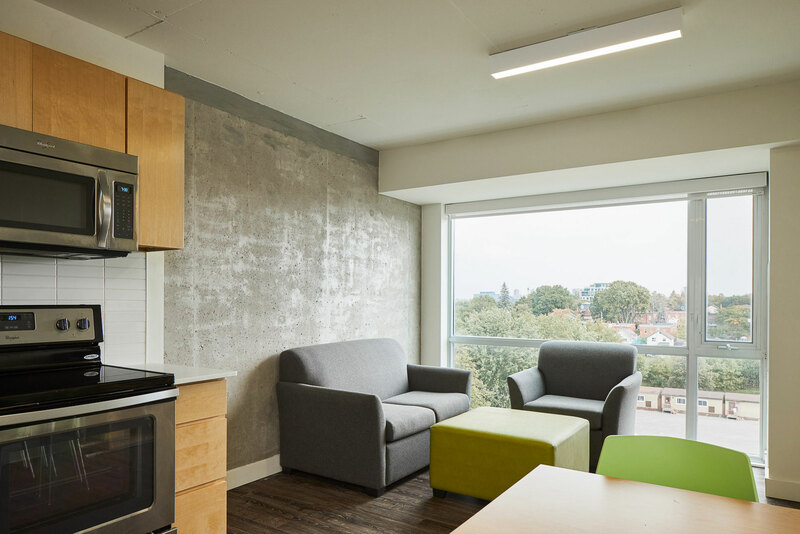 45 Mann is among the University of Ottawa’s newest residences serving a growing number of upper year undergraduates in search of campus housing. 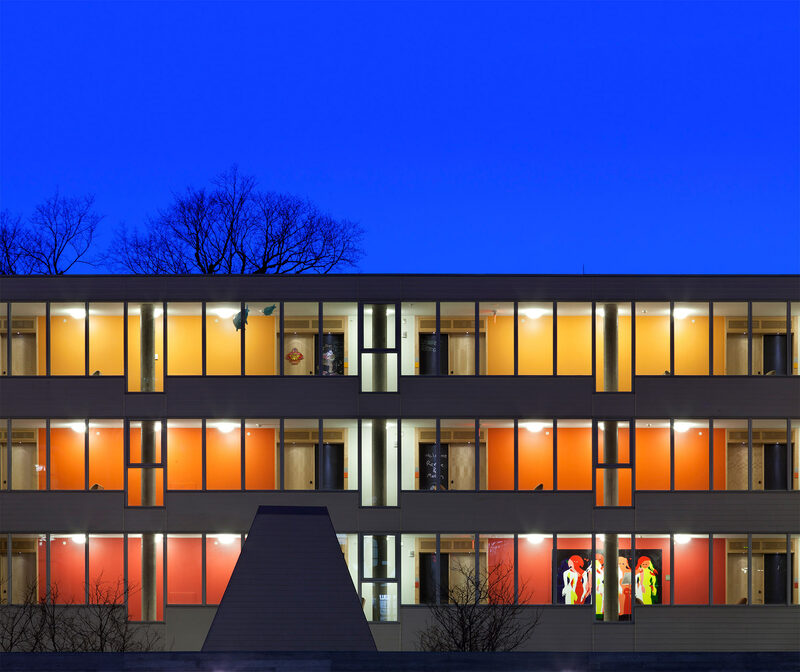 The building accommodates a total of 385 students in one-, two-, three- and four-bedroom suites and features both a rooftop terrace and common courtyard. 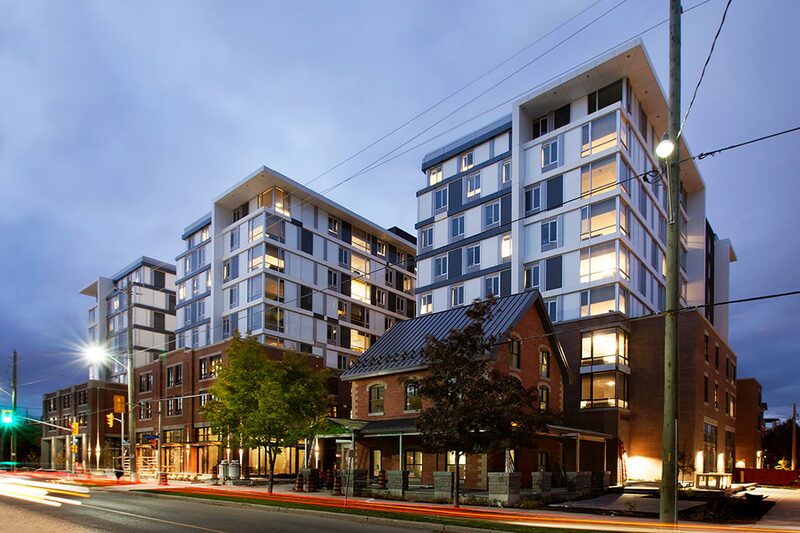 At nine stories, 45 Mann is the tallest structure in the Sandy Hill neighbourhood. 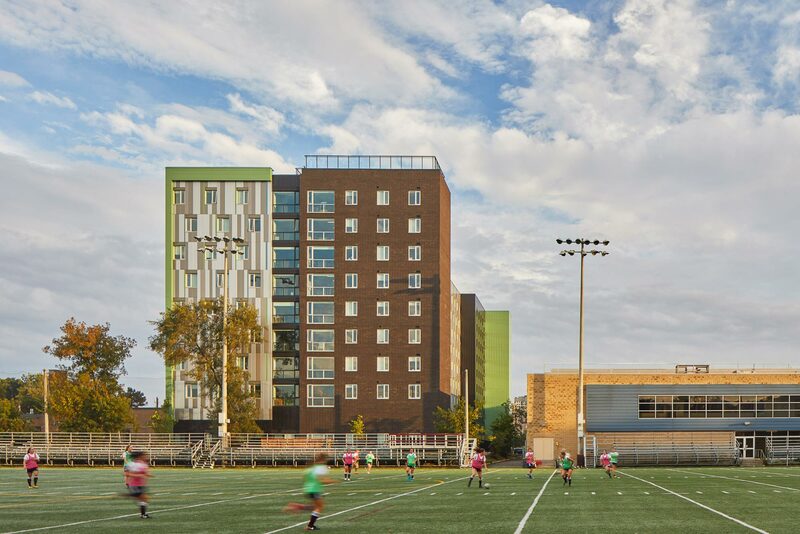 Its design works to achieve a delicate balance between supporting a vibrant, collegiate experience, and mitigating the impacts of this experience on the surrounding, largely residential community. 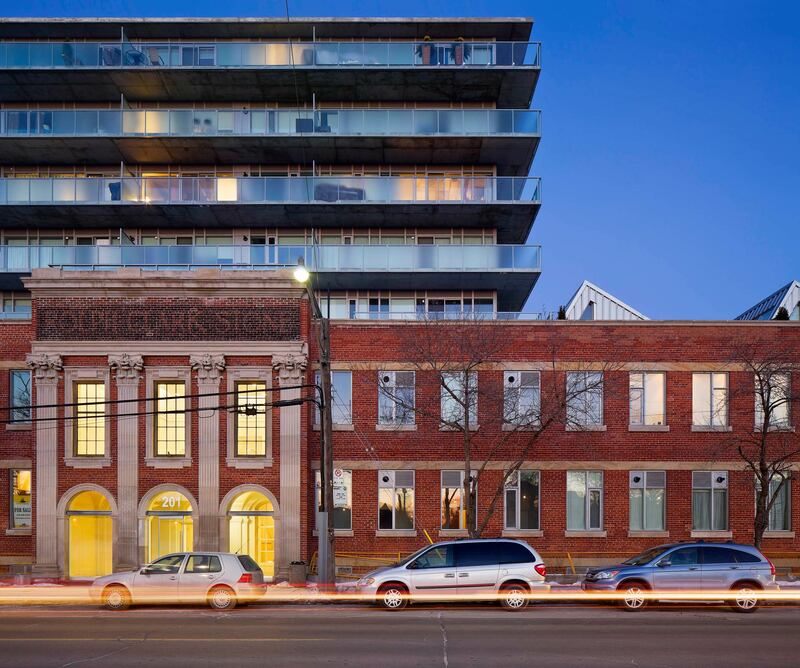 To diminish the scale of the building, its mass is broken down into two tower structures bifurcated by a single-storey amenity hub. The towers are distinct both in height and appearance; one is taller with vertically aligned windows while the other is shorter with staggered fenestration. Together, they create a dynamic, playful expression that generates visual interest and brings renewed visibility to the University. 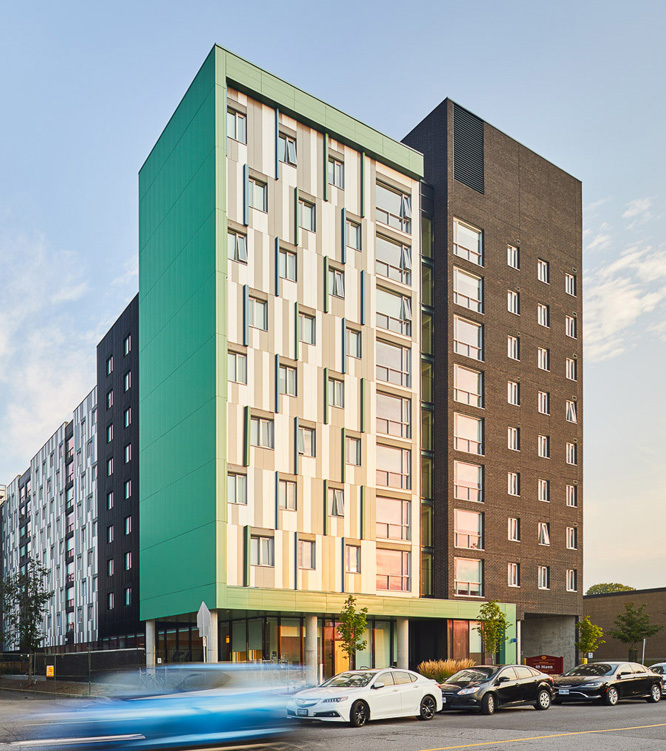 Whereas the towers are clad in an innovative, high-performing prefinished aluminum panel system, the amenity hub and main entrance are more generously glazed. 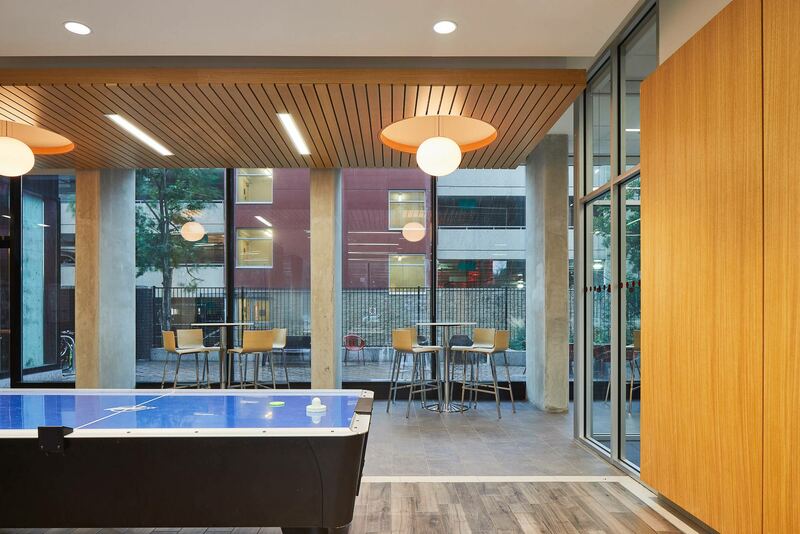 Within, the lounge, games room, fitness centre, and computer workstation, become highly visible spaces that activate and animate the building at a pedestrian level. 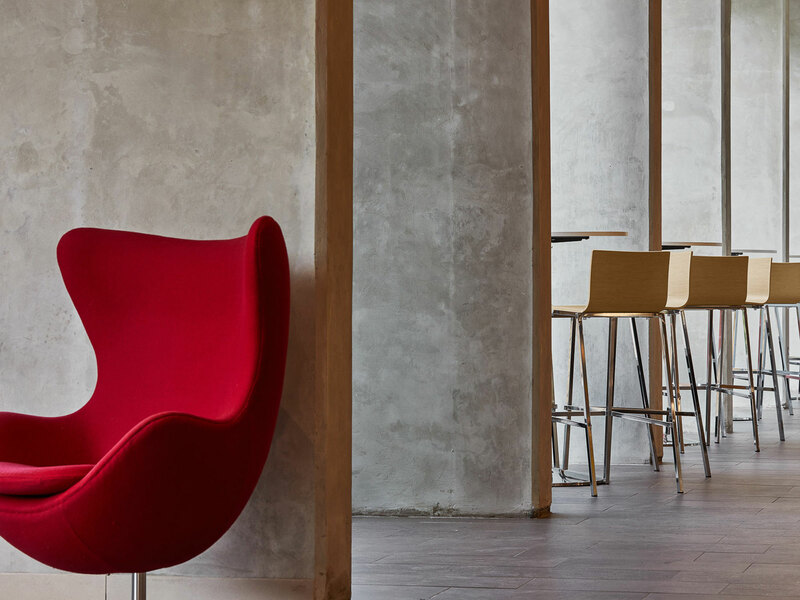 They work in concert with a series of hard and soft landscape features around the building to create a quality public realm with strong physical and visual connections to the campus.